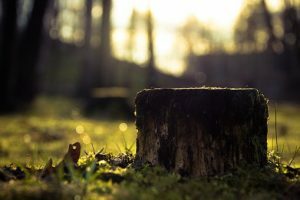 As you start thinking about clearing trees out of yard, it’s time to consult Mr. Tree and Lawn Service in Gainesville, GA. It’s a great idea to remove stumps from the lawn. In fact, it makes your landscape healthier! But when it comes to such a specialized task, it’s a good idea to let the professionals handle it. Why? The roots of a remaining tree stump can be dangerous. As they continue to grow they can take hold of your water pipes and snap them in half. They can also grow into the foundation of your house or walking sidewalk areas. Tree roots can cause damage to structures around your home. Tree stumps can be an eyesore and a hazard. A tree stump in your yard is nothing more than a stump. It looks bad and serves no beneficial purpose. They can also become hazards in your yard. While out walking in your yard you could trip and fall over the stump. This is especially common with elderly folks. They may be an obstruction to potential work. If you are looking to add on to your house, the damage caused by roots and the general existence of the tree stump can cause complications in your plans. While you are mowing your lawn, you will have to redirect around the tree stump, interrupting the pattern of your lawn. Eliminating tree stumps can help you avoid all of these potential issues. We are more than happy to help! All you need to do is call!